An Israeli border guard has shot dead a Palestinian teenager, whom police said threatened a colleague with what turned out to be a fake gun, in the West Bank city of Hebron. Police said the youth had attacked the guard and aimed the 'pistol' at him, before being shot dead. The boy was named locally as 16-year-old Mohammed Ziad Sulaima, AFP said. 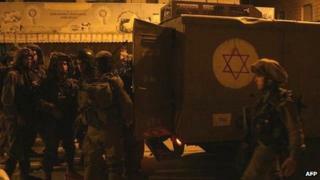 Clashes broke out after the shooting, which happened near a contested site holy to Jews and Muslims. Known to Jews as The Cave of the Patriarchs and Muslims as the al-Ibrahimi mosque, the site is where the Bible says Abraham, Isaac and Jacob were buried with three of their wives. Hebron is home to about 160,000 Muslims and some 500 Jewish settlers who live in the centre of the city, guarded by Israeli troops. Last week, Israeli security forces shot dead a Palestinian man, who they said was armed with an axe, in the northern West Bank.